Bethsaida lies northeast of the Sea of Galilee, 1.5 km from the present-day shoreline and several hundred meters east of the Jordan River. It is identified with a 20-a. mound known as et-Tell, which rises to an elevation of 45 m above a plain known as the Bethsaida Plain (or Bateiha Plain). 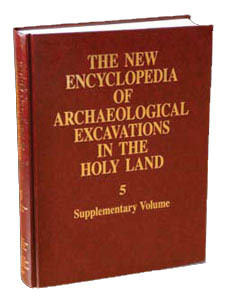 Geological investigations in the Bethsaida Plain have revealed that it was formed over the past 2,000 years. Prior to that, the Sea of Galilee reached the southern slopes of the mound. As a result of earthquakes and landslides, the Jordan River was blocked, resulting in its overflow and the formation of silt beds along its banks. This ultimately resulted in the uplifting of the plain above the banks of the river and the shoreline. At the end of this process, the shoreline of the lake retreated southward. Today’s shoreline is located 1.5 km from the mound. The wealth and character of its Iron Age remains suggest that Bethsaida was the capital of the kingdom of Geshur during the tenth–ninth centuries BCE. It may reasonably be assumed that the name of the site during the Iron Age was Tzer or Tzed, if the interpretation of the enigmatic verse Jos. 19:35 is correct.